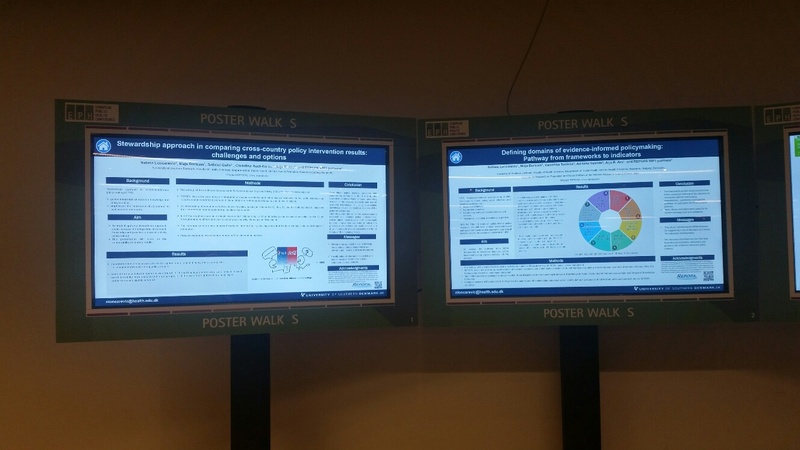 In the poster walk session about Evidence informed policy and health systems organizations: Natasa Loncarevic (SDU- Denmark) presented results from “Stewardship approach in comparing cross-country policy intervention results: challenges and options” and “Defining domains of EIPM: pathway from frameworks to indicators”. 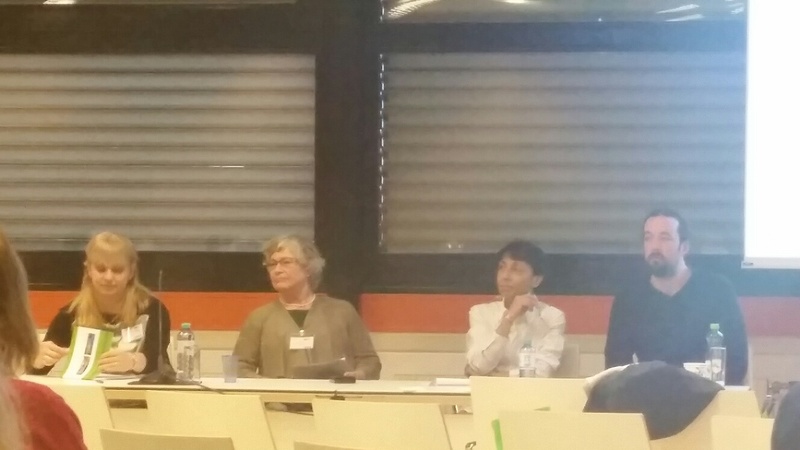 These presentations were good introduction to Valentina Tudisca (CNR-Italy) and hers “Indicators for EIPM and policy phases in the Italian and Danish concepts”. 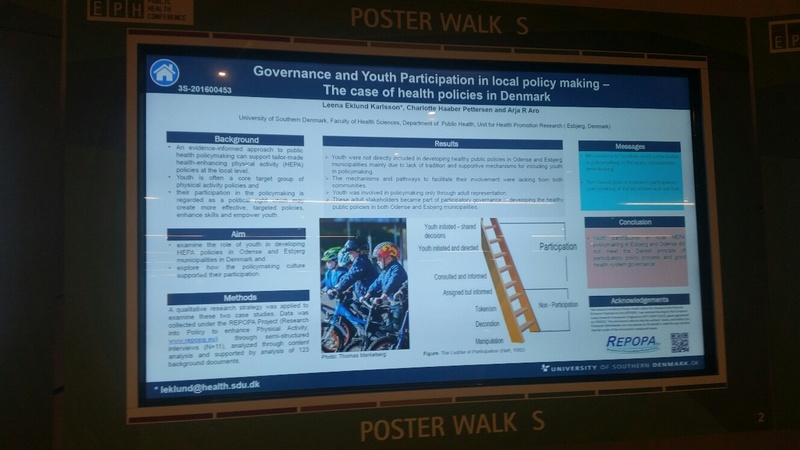 Leena Eklund Karlsson (SDU- Denmark) talked about “Governance and youth participation in local policy making: the case of health policies in Denmark”. 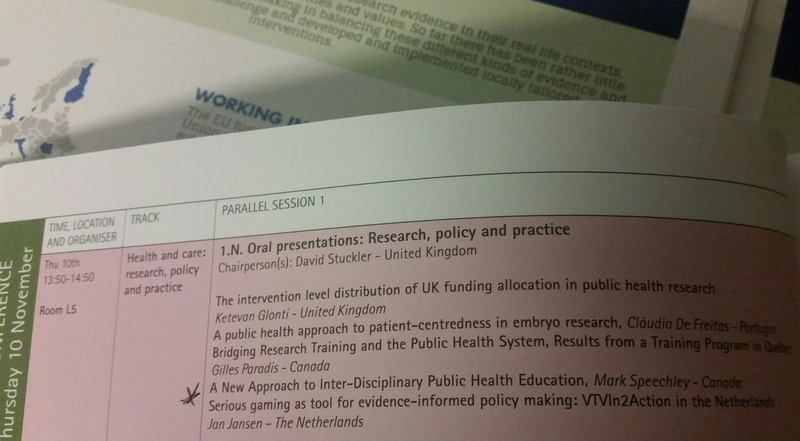 Works package 2 methodology was presented in the session Research, policy and practice with the presentation “Serious gaming as tool for EIPM: VTVIn2Action in the Netherlands“ by Jan Jansen (Tilburg University, Tranzo - the Netherlands). 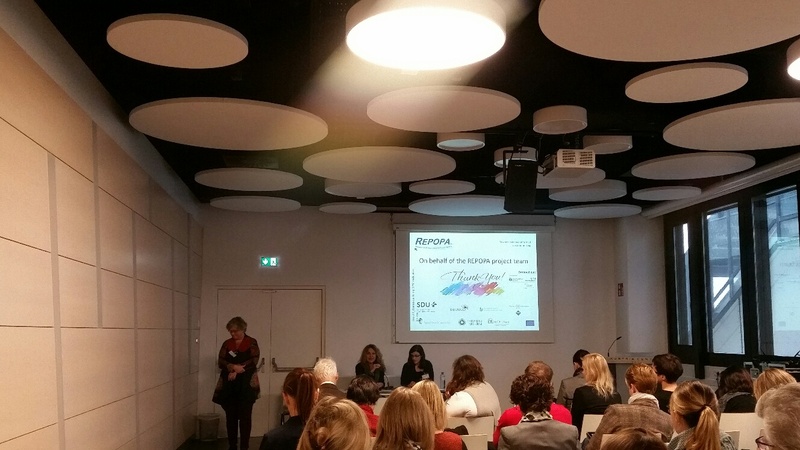 “Contextualization of indicators for EIPM: results form Denmark and Italy” by Arja R. Aro (SDU- Denmark). 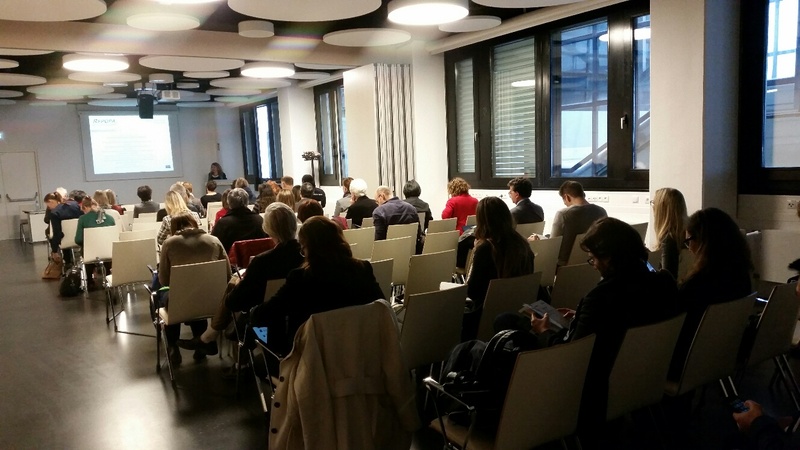 The 9th European Public Health Conference was organized by the European Public Health Conference Foundation, the European Public Health Association (EUPHA) and the Österreichische Gesellschaft für Public Health. 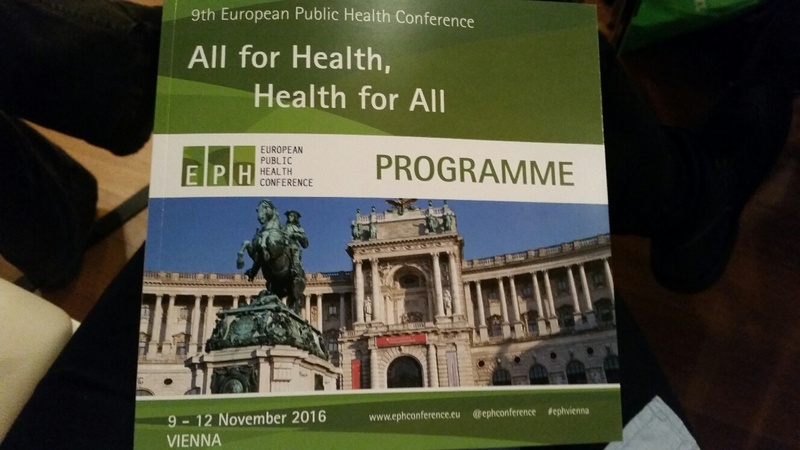 The theme for this time was ‘All for Health, Health for All’ with the Conference aims to contribute to the improvement of public health in Europe by offering a means for exchanging information and a platform for debate to researchers, policy makers, and practitioners in the field of public health and health services research as well as public health training and education in Europe. 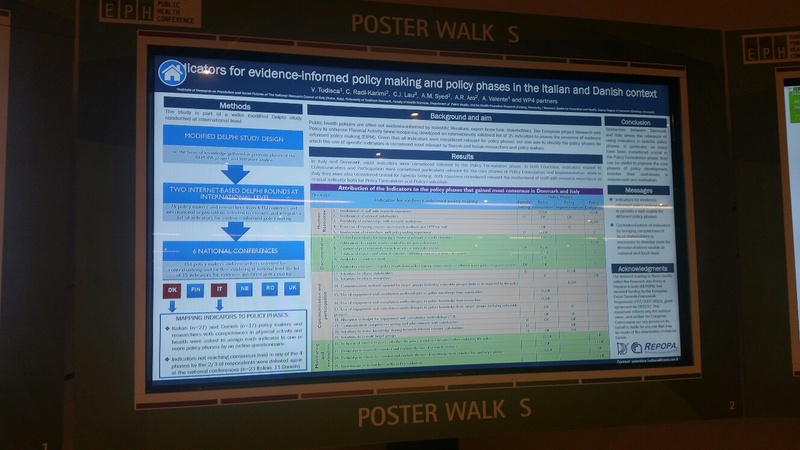 International, national and European Union (EU) policy makers, public health researchers, academicians and practitioners presented more than 750 scientific papers at over 100 sessions focusing on public health challenges. 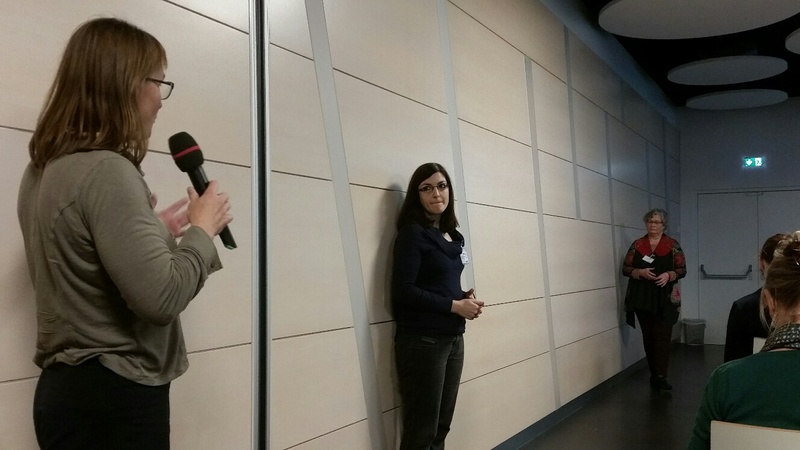 All in all the conference attracted over 1800 participants.